You know it's fashion week when my blog is taken over my mens style photos. 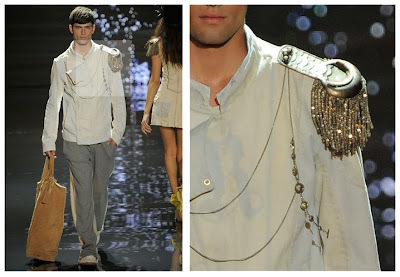 Thats how my blog started, me posting fashions I was lusting over by designers I would never be able to afford. Well here we are again, except this time it's for Spring/Summer, not Fall/Winter. I find the placement of the fashion weeks are so terrible. Here I am looking at beautiful outfits for next spring when the long winter hasn't even begun. 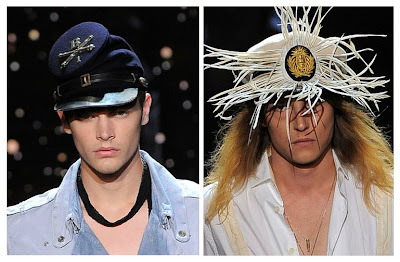 They also had some really cool military inspired hats that rule. These are the types of things I would buy in a heart beat in a second hand store but wouldn't pay top dollar for, you know?